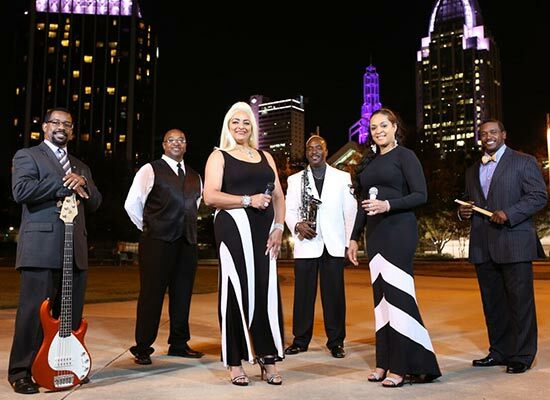 Bass Guitarist Herbert C. Conway Jr. formed Deception in January 2013 because he wanted a band capable of creating a different sound and one that played all genres of music — including Jazz, Classical, Oldies, R&B, Pop and Country. After carefully selecting each member of his band, the group collaborated on a name that would create an element of surprise for their audience. Deception was chosen because the band’s supporters were often deceived, in a good way, by how a small band could produce such a big sound with such a diverse music selection. Deception consists of three lead vocalists, a bass guitarist, drummer, keyboard player, and saxophonist. Deception will be playing at Bands on the Beach on Tuesday, May 14 from 7-9 p.m. at Gulfside Pavilion. Spectators are encouraged to bring lawn chairs or blankets to the pavilion area. No pets are allowed and glass is prohibited. Concerts are provided and organized by the Santa Rosa Island Authority.For more information call the SRIA at (850) 932-2257.